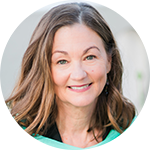 Terri Casey’s book intentionally steps out to reclaim the phrase “pride and joy”—typically used to describe a woman’s children—as equally valid in describing a childfree woman’s many other possible contributions to the world. While other books quite validly build their case for going childless around environmental concerns, Casey has her sight set on the many other reasons a woman might choose this path. Her portraits of 25 very different women—who vary from a court reporter to a yoga instructor—and the rewarding lives they have led, is a testament to the richness of the female experience, above and beyond its traditional connection with childrearing. 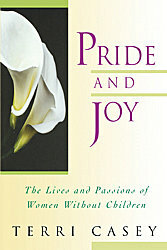 Pride and Joy is definitely on my childfree book shelf, and is for anyone who wants to know more about the childfree life and childfree woman experience.